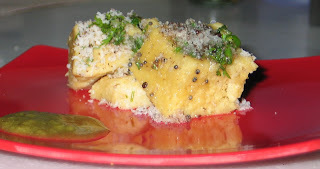 Mrs. Desai's Dhokla recipe was a success. This recipe serves 8, so you can eat it and send it over to your neighbours as well. Pointers for when you try this recipe. Before steaming the Dhokla, when you fill up the dhokla mould or quarter plate with the mixture, don't fill it upto the rim, leave about 1 cm space on top so that the Dhokla turns out spongy, not dense. Before you de-mould the Dhokla, loosen the sides with a knife and then allow it to cool completely, so that the mixture does not stick to the Dhokla plate. If you are making Dhokla during the summer season, reduce the fermentation time by half hour to prevent the Dhokla from getting too sour. To view this Recipe go to the Article title; Is your Clever Neighbour making You Fat? in the Recipes section. Dal Makhani.. Something was Missing! Dhaba-style Makhani Dal… Now Anyone Can Make It! Is your Clever Neighbour making you Fat?